Both Linux Mint and Ubuntu have several editions (flavors) to choose from, so we’ll have them in mind while doing this comparison. This comparison doesn’t really have anything to do with servers or web hosting, but it’s what our readers want to read the most, so we’ll keep these kinds of articles coming. If you’re too lazy to go through our detailed comparison, check the table below for a quick overview. Linux Mint is based on Ubuntu, so they are quite similar to begin with. Basic information about both distros and the first things you need to know. Both distros are free and open source. Linux Mint is a popular choice for a desktop Linux distro that offers a wide range of customization options and an easy to use user interface. For more information, visit the official Linux Mint website. 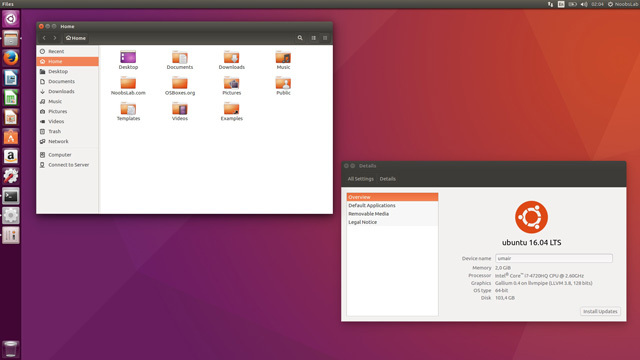 Ubuntu is the most popular choice both for Linux desktops and servers. The popularity of the distro and the active community make it easy to find a solution to any Ubuntu-related issue. For more information, visit the official Ubuntu website. The most important part of a desktop distro is the desktop environment it uses. The look, feel, and usability of the OS itself depends on the desktop environment. Both Linux Mint and Ubuntu have different releases/flavors/desktop environments to choose from. By default, Ubuntu (16.04, 17.04) comes with Unity, which is a desktop environment specifically created and designed for Ubuntu. Starting from 17.10 and onwards, Ubuntu ships with GNOME by default. As for Linux Mint, there is no “default”, but a choice of different desktop environments to begin with, the most popular being Cinnamon. We mentioned some of the desktop environments you can use on both distros in our comparison table above. Both distros are beginner-friendly and are ready to use out of the box. Both Linux Mint and Ubuntu have all the software you’d need pre-installed, including a browser, a media player, an office suite and more. Both use the same package manager (dpkg). If some application is available for Ubuntu, you can also install it on Linux Mint. So the software should not be a deciding factor when choosing between Linux Mint and Ubuntu, other than what software is installed by default. Even if you want a different application than the default one, you can easily uninstall the default one and install an alternative through a GUI. By default, Linux Mint includes proprietary software (like Flash), but Ubuntu doesn’t. If you want to use proprietary software on Ubuntu, you’ll need to update your settings, which takes less than a minute. Linux Mint and Ubuntu are both easy to use, easy to install, and easy to configure, so both distros are best suitable for beginners. Both distros offer many customization options, so if you are familiar with Linux, you can customize both distros to your needs. So they are also suitable for experienced users. Given their beautiful and modern user interfaces and compatibility. You can use the distro on a small laptop, or on a big computer screen, so they are suitable for any kind of use, on any kind of a device. Linux Mint is more suitable for Windows users – Mint’s interface is quite similar to the Microsoft Windows interface. So if you’re switching from Windows to Linux and you want a familiar interface, you should go with Linux Mint. By default, Linux Mint offers more customization options compared to Ubuntu, at least in their GUI settings. Ubuntu releases a new version every 6 months, so its release cycle is scheduled. Every 2 years, there’s an LTS (Long Term Support) release, which provides support for 5 years for the desktop and server version of Ubuntu. The duration of the support is relevant because you will only receive updates until the release is officially supported. Linux Mint releases are not scheduled, but they do come a month or so after every Ubuntu release. All Linux Mint releases are LTS releases. When a new Ubuntu LTS release comes out, a new Linux Mint version comes out. Mike F from the comment section below explains it well. Linux Mint is based on Ubuntu. Other than the user interfaces and the default settings, both distros are quite similar. Ubuntu is the most popular Linux distro. Given the popularity, Ubuntu has the most users out of any Linux distro. With that large of a user base, you can easily find a solution to your issue on online communities. There are detailed tutorials and explanations for just about anything, especially for beginners. 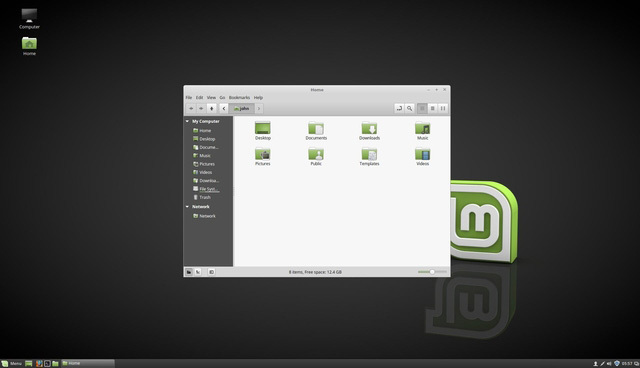 Linux Mint is a popular Linux distro for desktops. It’s one of the most popular desktop distros, other than Ubuntu. The Linux Mint community is very helpful and active. Although they have a smaller user base, you can still easily find solutions or ask for help in the official Linux Mint community. Both distros use the same installer – the Ubiquity installer. So installing the distro itself will be very similar for both distros. Not as (relatively) easy to install as Windows or OS X, but still very easy to install, even for beginners. Everything is explained during the installation and everything is done via a GUI. You can install both using a flash drive and you can use them as a “live” distro – meaning you don’t even need to install them on a hard drive, you can use them straight from the removable drive. There are a few questions that people usually ask when comparing Linux Mint with Ubuntu. We’ll answer all of them. If you have any additional questions or thoughts, feel free to leave a comment below. Which distro is better for beginners? Both are great for beginners, but if you had to choose one, go with Ubuntu. Can I use both distros at the same time? Yes, you can use “dual boot” to have both distros installed at the same time. When booting the computer, just pick one of the distros. Can I test the distros before deciding to use them? Of course. First, you can check out some demos, videos, screenshots and online reviews. If you want to personally try the distros, you can use VirtualBox or similar software and use a virtual (temporary) installation. You can also use a Live CD/USB and test-drive the distro on the computer you are planning on using them. Which one is better for older PCs and laptops? I want to use Linux Mint (or Ubuntu) but I still need to use some Windows apps. How do I do that? If you’re a beginner and new to Linux, but still want to use some Windows apps, you can set up Wine and use the apps locally. Alternatively, you can use services like CloudDesktopOnline.com or Apps4Rent where you can use a virtual server for apps like SharePoint and Exhange. Cinnamon and MATE are the two most popular “flavors” of Linux Mint. Cinnamon is based on the GNOME 3 desktop environment, and MATE is based on GNOME 2. The desktop environments are best compared by actually using them, or, alternatively, you can check out some screenshots. Are they not both built on “Debian”? No. 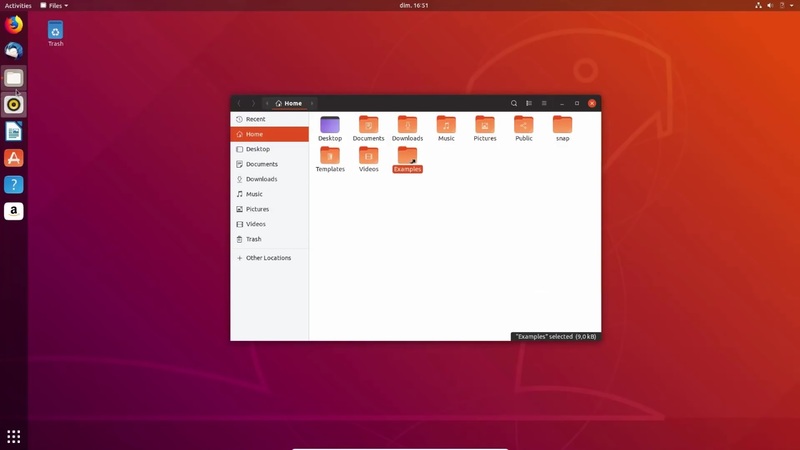 Ubuntu is built on Debian. Linux Mint is built on Ubuntu. The “LMDE” version of Linux Mint is built on Debian though. Not sure why you did not mention LMDE (other than here in the comments). For LMDE2, that was something like 20% of the usage of Linux Mint and is possibly higher now with LMDE3. They also have a different release cycle, and since that was a focus, it would be useful information. I feel like the “Release Cycle” section for Linux Mint is a little misleading. Mint releases aren’t scheduled, but they still come about every 6 months like Ubuntu. There’s a major release version 18.0 to correspond with every Ubuntu LTS release, and then they get 3 updates about every 6 months to improve the stability of the LTS, sometimes even jumping Kernel versions as was the case with 18.2. Then we have the option of jumping to the next major version like 19.0 all over again. Though they do always release after Ubuntu and they do correspond, they are still not scheduled. Your explanation is still more clear though. Thank you! Ubuntu LTS (Long Term Support) release provides support for 5 years for the Desktop, not 3 years. Same is true for the Server also. You are right. Thank you, we updated the post! Mate is a continuation of Gnome 2 and is not built on Gnome 3. Cinnamon is a fork of early Gnome 3 and lacks features like Wayland compatibility. GTK theme, icons, wallpapers, and dev team. Proprietary extras are now a one click install option during the install process, exactly like with Ubuntu. This is no longer the case. They now have one major release corresponding to Ubuntu’s LTS release, and then issue updates to that release every 6 months. So instead of LM 13 based on Ubuntu 12.04 LTS, and then LM 14 based on Ubuntu 12.10, then LM 15 based on Ubuntu 13.04, etc., we now have LM 17, then 17.1, then 17.2, and finally 17.3, all based on the same Ubuntu 14.04 LTS release, and all supported until the same date as LM 17. Then it goes to 18.x with the Ubuntu 16.04 LTS base, then 19.x will be based on Ubuntu 18.04, and so on. All releases are LTS releases. I heartily disagree with your contention that Linux is more difficult to install than Windows. Windows has no Live version and takes hours to install, not to forget the hours you’ll waste getting Office installed after installing the OS, OS X installs only on proprietary hardware whereas Linux does have Live versions to try out before committing, installs on almost any PC hardware and only takes minutes to get up and running including office software and with simple GUI instructions. I personally use OS X and Linux Mint Cinnamon as the clunky Windows experience leaves me cold and shivering with frustration. Both my preferred OSs are snappy to install, update hassle free and quickly, and are relatively bug free. Another couple of plus points: once you have bought a Mac updates are mostly at no cost, Linux is completely free including ALL software like an office suite. I do realize that Windows has carved out the major portion of the market for itself and now relies on this base to the detriment of progress, sucking billions out of economies and creating unnecessary hardware (and software) costs. Windows takes hours to install? your know something called Windows 10? windows 10? The worst experience i’ve ever had when using windows. Every few days update OS lol. Windows 10 is the why i completely move to the linux, Not even dual booting.. Happy as no up to a year, Started with Arch then Manjaro then Ubuntu learn lot from arch and then fallin love with Linux. As an user of windows (windows 3.11, windows 95, 98, xp, windows 7…) during many years : Yes i know windows 10, coming from windows 7, this is THE reason i moved to Linux Mint, easier to adapt myself coming from windows 7, than going on windows 10, slow with many problems, too many changes and nothing really better than windows 7 for me, only things that are worst. And Linux Mint had many advantages, no need of antivirus, easier to find where to do this or that, less ram used etc..
I’ve used microsoft since dos to 3.1 and now 8.1. Ever since xp I’ve never ran anti-virus software (only keep initial installation mirror disk back up just in case)…and have never had problems with virus or malware to speak of. With the exception of prior xp…don’t have a clue as too why someone would say and have the experience of ‘hours’ to install…half an hour at most with xp…much less with versions after. Not a fanboy of windows…which is why I am reading linux articles…I do know for my 3d rendering software, linux is much better at memory management than windows, but hours to install? Nope, not true. I’ve read a few individuals comments on here and I would like to say that, as primarily a Windows user with some experience with Apple OS, you are showing bias towards Linux and Apple while downing Windows simply based on an install period you might have had. Windows doesn’t take hours to install if you have current hardware. If you plan to use a HDD and CPU from like 5 years ago and you’re installing Windows XP or 7, then you could experience such a slow install. If you use an SSD as your boot drive and a decent CPU with Windows 7 or newer, you should have drastically faster speeds and shouldn’t be waiting long. I can assure you Windows 8.1 and 10 install in under half the time of Win7 if you have decent and not outdated equipment. However, I do know some will think an i5-3xxx series CPU should perform the same as an i7-4xxx series CPU or later, but it won’t. Installation speed is based on the complexity/size of the OS, capabilities of the CPU, and capabilities of the HDD or SSD you’re writing the OS onto. Please realize your capability to do an install appropriately based on your equipment and don’t automatically condemn an OS just because you’re using outdated tech or aren’t properly familiar with the OS itself. In the end, it’s an unfair assessment of the OS and you show your ignorance on the topic. In your update of Dec. 29, 2ß17 you do not mention Ubuntu 17.10. which is much better. This is considered as unfair. im a long time windows user. After microsoft crashed in 2 of my computers im moving to ubuntu 17.1. The problem im having is compatibility. Microsoft propietary software is better. Ubuntu is free! For windows 10 I pay for anti virus and office 365. Im trying to see if I can move to ubuntu permanently. My favorite thing ubuntu is its speed! I might just run windows 10 on the boxes VM. Great article. It’s been almost 2 years since I became a Full-time Linux User after blocking M$ from infecting W7 w/ Windows 10 Botnet (Malware As OS) *W10 acts just like a Botnet w/ zero-privacy. I tested both Mint Xfce and Fedora Design Suite. Fedora won out because I had to install very little software for web & graphic design. I don’t miss adobe nor corel that much either. I know Ubuntu has a creative suite also, but it’s more for video/audio and not photo/design. I even added some webdev apps and I was good to go for a noob. For me linux just works w/o pulling my hair out my head. Note Fedora is a fast paced, 2 new os versions a year. For me it’s stable as my only OS. If it goes south for any reason, Mint Xfce for sure! I use both GNOME 3 & Xfce DE’s. It’s only 500k mem & 5% cpu difference between the two on a i5/ Intel 2500 Graphics. Xfce is a tad quicker and better screen savors ;} However G3 is a little slicker looking & impresses creatives who bought their first mac; after realizing they were in some fruity Apple-Scientology cult and needed to open a window and escape. Windows became too much like facebook, no privacy and too many untrustworthy falsehoods. May The Open Source Be With You Always. What matters most is bugs. You find this information nowhere. You have to find out yourself. Then you find that some software you cannot even install, let alone use it. Who can tell me more? Which of these two distributions, including the repository, are better tested? Yet another advantage of Mint: All my PCs are 32 bit. This excludes now Ubuntu. Mint excels here. “In Linux Mint 19, the star of the show is Timeshift. Although it was introduced in Linux Mint 18.3 and backported to all Linux Mint releases, it is now at the center of Linux Mint’s update strategy and communication. If it works, it is great. Thanks for all the comments. I learned quite a bit. A lot of it informative, some wrong or partially correct. My first “PC” was an IBM1130 programming in BASIC and Fortran at my high school followed by a 360 mod 50 elsewhere. Various actual PC’s followed beginning with an Altair 8800. The IBM compatible mainframes I worked on used Unix for the service console but strangely enough the company issued laptops, even those given to service personnel, and office desktops ran MS-DOS, then Windows. I have never found a more intuitive, productive, elegant and robust OS than W7 with ClassicShell. Admittedly, since I sold and maintained several hundred machines the required AV, etc were easy to manage. Though I still admire the physical and technical design of the fruity products even now, overall they only were great in their time and that ended after Stevey returned forcing Apple to buy his NEXT product and ruined the OS. I stopped recommending them close to 10 years ago as they are currently non-intuitive and very inefficient with the GUI provided. W10 is as bad but can be fixed with Classic Shell, built in voice control and disabling automatic updates. Perhaps OSX or whatever they call it now has an equivalent fix to the stock interface. It has a solid BSD kernel. There is no such thing as a good “All in one” PC except in special situations.. The 2005 built tower I’m typing on boots XP, 7, 8.1 10 and Mint 18.3 KDE with Systemback which can also “System Restore” Ubuntu. My work laptop run W7, 8.1, 10 and Mint. My Lenovo hybrids run AMIDuOS, W10 and Mint Xfce (in laptop mode) because there are no W7 drivers and no Linux distro works perfectly in tablet mode, though Ubuntu is getting close. When Ubuntu gets the tablet part 100% it will replace Mint on the hybrids and probably on everything over time. All my Windows ISOs have the spyware, auto updates, garbage removed and options set the way I like. My Linux ISOs have my defaults set, programs added and the ones I don’t like or need removed. Don’t like the bloatware, M$ spying or cramming updates down your throat? Easily fixed. or Linux https://www.maketecheasier.com/6-tools-to-easily-create-your-own-custom-linux-distro/ to install on your various machines. Takes an hour or 2 the first time, then 10-30 minutes once you’ve done it a few times. W10 is actually a good OS once the garbage is removed and since I still support a number of Windows PC’s I use it. Classic Shell can change from the Metro to the Desktop UI and back with a click. I have custom ISO’s for all my clients with each being tailored to them. Some are Mint, 1 Zorin due to the GUI similarity to Windows 7. A LOT of functionality is REMOVED so the regular users can’t screw things up which allows 1 or 2 persons to manage the software of several hundred PC’s, usually remotely.